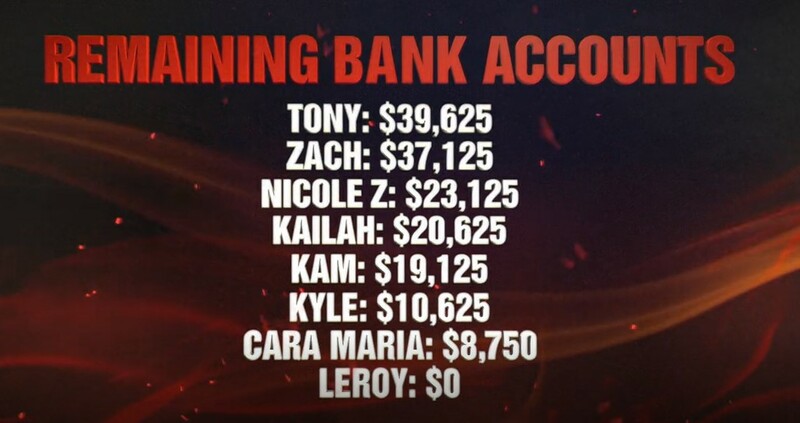 We pick up right where we left off… Champs Shane and Kailah have rubbed the Stars the wrong way, causing Selita to walk away from the situation. Selita and Brooke chat on a bench outside of where everyone was eating about Kailah cursing at Selita. The two women identify that there’s a mental element to the game that they have to engage in. As we meet the cast, we also watch the first challenge: Stair Down. The worst part of The Challenge Vendettas was Bananas’s manufactured note drama. 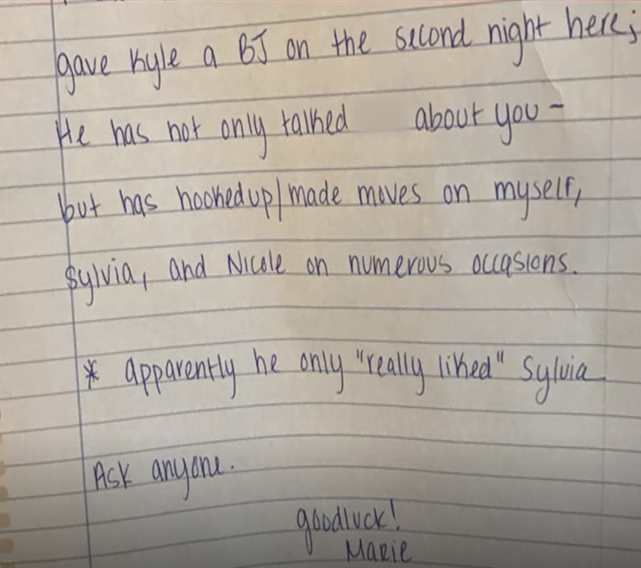 Marie left Cara Maria a note of her own, and it’s not even Middle School level quality. I hate this two-part reunion/finale format. I watched the season. I don’t need any recap stuff. Every argument is a dumb quibble. Every answer is the cast member asserting themselves in their prime “character” form… like Cara Maria whining that it’s hard, Nicole Z. being the shadiest ex-girlfriend in existence, Marie being sassy and Bananas being an egotistic blowhard.